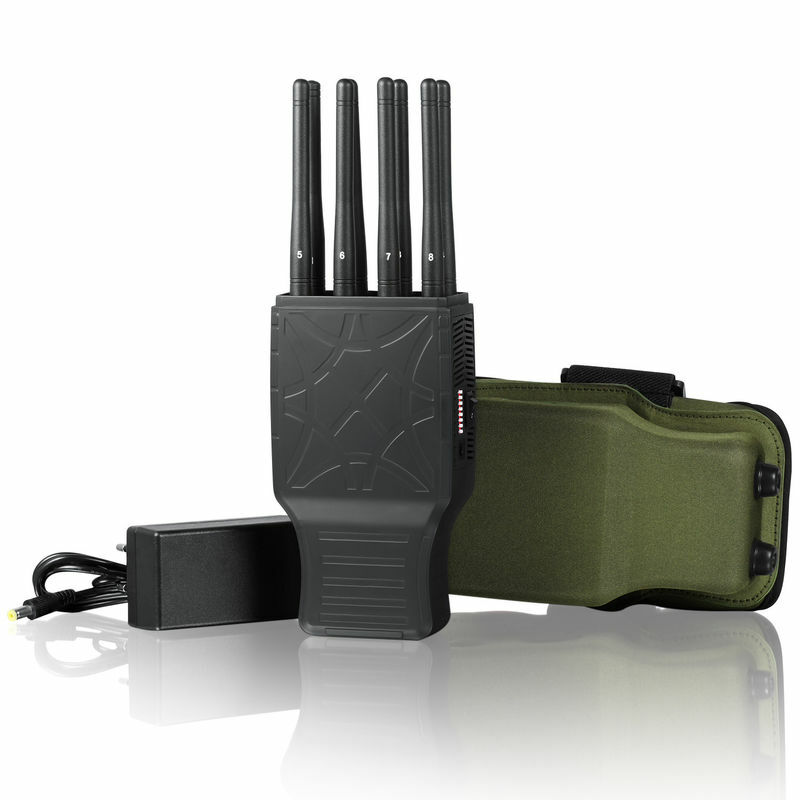 No need to use another jammer,this bands jammer can meet your target of most general type of affected frequencies.Easy to carry on,it's handheld.Good cooling system with cooling fans inside. 1.With nylon cover, easy to carry. 2.Configured to block eight different frequency bands continuously or simultaneously. 3.With DIP Switch.Separete swicth for each band,accopanied with a working LED light. 4.Total RF output power up tp 5.5 watt. 5.Could be used in car directly. With car charger and AC charger. 6.. With Built-in Battery: 4000mA/h.Charge full time about 4Hours.Working time: 1.5 hours. 7. Inside 2 cooling fans and heat sink design ensure the device to work continuously.